OXFORD, Miss. – An estimated 11.6 million women-owned businesses operated in the United States as of January 2017, employing nearly 9 million people and generating more than $1.7 trillion in revenues, an American Express report revealed. And 62 percent of women entrepreneurs say their business is their primary source of income, according to Small Business Trends, an online data tracking source. 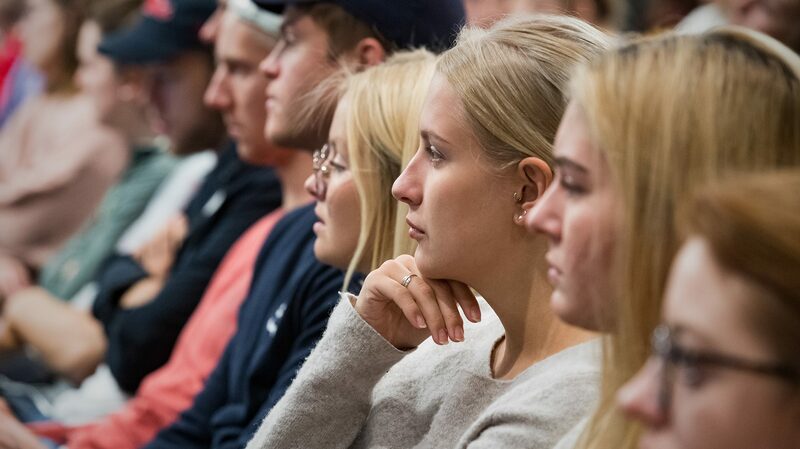 The Center for Innovation and Entrepreneurship welcomed Ole Miss students and the general public for the panel discussion on Oct. 19, the second day of the conference. The discussion was followed by student mentoring sessions with the panelists and CIE-linked entrepreneurs. The panel included some of the state’s most successful women entrepreneurs: Donna Barksdale, president of Mississippi River Trading Co.; Jan Farrington, executive director of Medical Support and Development Organization Inc.; Gail Pittman, CEO of Gail Pittman Inc.; Leigh Reeves, founder and CEO of Snapshot Publishing; and Liza Cirlot Looser, CEO of the Cirlot Agency. Looser opened the discussion by asking each panelist to reflect on her college curriculum and what she might have done differently. All wished they had taken one course: accounting. Farrington offered a different perspective based on her experience investing in businesses in Mississippi. Reeves told participants that she tries to “hire my weaknesses.” She explained that she considers writing to be her weakness, but she doesn’t allow that deficiency to hurt her brand or slow her success. The group concluded by providing words of wisdom to an audience filled with future entrepreneurs. CIE leaders and others who helped organize the summit felt the panelists’ messages resonated with students and reinforced the objectives for the gathering. 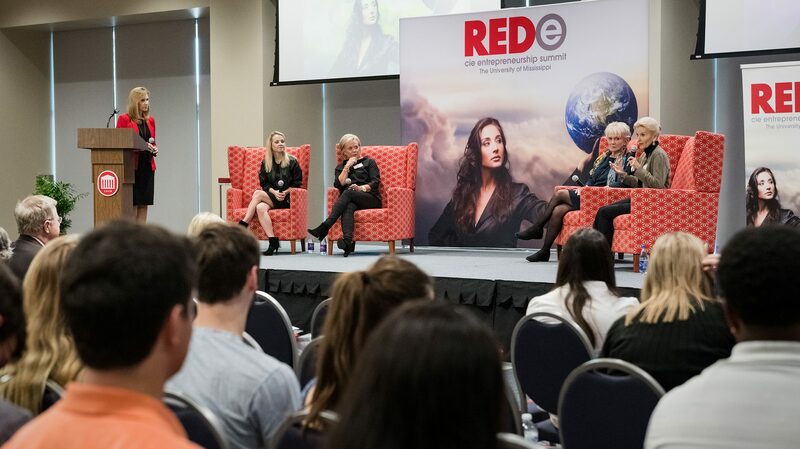 “Our goal for the REDe Summit is to inspire students with varied academic backgrounds, such as the arts, engineering, pharmacy or business to engage in entrepreneurship,” said Clay Dibrell, CIE executive director. “This year’s summit theme focused on women’s entrepreneurship and change. The panel highlighted accomplished women in Mississippi, UM alumna and student-entrepreneurs who are trying to move forward with their own business ideas.